Shooting video is a complicated task and shooting video on the Sony A7r II is even more complicated. There are so many functions and settings that have to all work in unison in order to get great video, that I’ve decided to make a dedicated video guide just for the Sony A7r II. So if you want to learn how to shoot better video on the Sony A7r II, this is it. This guide is just a start, but it should set you up with a solid understanding on how you can use your Sony A7r II to shoot great video. Or at the least, it should help you avoid some painful mistakes. But before getting to deep into technique, I’ll need to cover some basic camera settings and requirements that are vitally important. Note to Sony A7s II readers: Everything you see here also does apply to the Sony A7s II, except for the crop sensor bit. The Sony A7s II does have a few additional features and I’m working on a specific Sony A7s II video guide. This is completely crazy but also the most important bit of information you need to know. Sony screwed up bad in the memory card department by sticking with USB 2.0 memory card interface speeds. This limits all memory card write speeds to around 35MB/s. And sometimes the camera will tell you certain cards that should work, don’t work. And because I did a Sony A7rII memory card comparison test, I get my email inboxed littered with emails from people telling me cards that should work, (according to spec) don’t work for shooting 4k video. It’s crazy pants. To shoot 4K 100M video, you’ll need a UHS-I SDXC U3 class card. Sometimes U1 cards will work, sometimes they won’t. And I’m not talking different brands. Sometimes my PNY U1 card will work fine, other times the camera tells me to use a U3 card. It’s inconsistent and crazy. You need SDXC. This is an ExFat file system that XAVC S video requires. To make this easy for you, just remember you need a card that is 64GB or larger. Anything 64GB or larger will be SDXC. Simple. Update: Sony now allows SDHC memory cards for their advanced video codecs. Like mentioned earlier, the camera will usually tell you to use a U3 card, but often times U1 works. If you’re buying your first card for this camera, stick with a U3 and I recommend a very trusted quality brand like the Sandisk Exreme Pro 64GB. The Sony A7rII now has the ability to shoot internal 4k video. But what’s the better option? Should we shoot 4K in APS-C Super 35mm mode, or should we shoot in Full Frame mode. I’ll start by saying that if it were my production, I would shoot in Super 35mm mode. Location: Gear (second tab) -> Page 6 – APS-C/Super35mm – turn it ‘On’ for Super 35mm and ‘Off’ for full frame. The main advantage of shooting in the 35mm crop mode is that you’ll get a cleaner, non-aliased image. Basically you’ll get a higher quality output. In Super 35mm mode, the camera will shot a cropped portion of the sensor giving you a roughly 5k image that is scaled down to 4k. This results in finer details and a crisper image. – Cinema lenses from over a century have been designed for this format. So if you were to get a PL to E-Mount adapter, you’ll have many options for great cinema lenses that will work perfectly for your camera. – You will get more rolling shutter. – You’re full frame lenses will be cropped. So your 50mm lens will look like a 75mm field of view. – APS-C or super 35mm also won’t have as shallow depth of field as a full frame sensor. If you want to shoot Full Frame mode, there are a few advantages and disadvantages you should consider. -You’ll get the full frame field of view of your lenses. A 50mm will look like 50mm. -You’ll have more shallow depth of field over 35mm crop. -Pixel Binning. – Ok. I’ll be honest, if you Google “What is pixel binning,” you’ll get all this information that makes it sound like a good thing. But I can’t actually find a lot of information on what this means in application to video recording. So I’ll wait for one of the experts to clarify this in comments then I’ll update this post. Thank you readers! From my understanding Pixel Binning can mean two things. One, you take 4 pixels and use them as 1. Cameras have already been doing this, when you look at RGB sensors and gathering information for color pixels, Red, Green, Blue and turn them into one proper color value. This is pixel binning, and the same can be applied for taking a 7k image and converting it to a 4k. So it’s like scaling but different. The other term for Binning I’ve seen used, (I think this is what they mean when they’re talking about Pixel Binning in Full Frame video) is to throw pixels away. To bin something is to dump it. Trash it. So instead of line skipping like the old Canon 5DMkii and Mkiii do, the camera will dump a calculated set of pixels. That’s what I think binning is on the Sony A7rII, and it results in a more aliased less detailed image. Either way, it’s not going to give you as detailed of an image as 35mm crop. Now that you have a basic understanding of the advantages and disadvantages of shooting super 35mm, I’ll go over codecs and bitrates. What I don’t know here is, if you shoot 1080p in super 35mm will you get pixel binning, or a scaled image? I’m actually starting to think that because there is no 1080p 100M option, the camera automatically shoots at 4k 100M and bins down from there, resulting in a 50M file. Until further test are done, I would say it’s best to shoot 4k 100M if you can, and do all your scaling in post. The Sony A7rII now comes loaded with tons of shooting options, too many actually. Really all you need to focus on is XAVC S. That is going to give you the highest bitrate recording. But if you’re curious about what the other options are, here is a list of video codecs and settings you can choose from. Did you know most movies shot today are still being finished in 2k? Sometimes even shot in 2k. I personally would stick with 4k 100M then scale down to 1080p, because you’re getting twice the bitrate. Sony made this back when they still hated the consumer. Now they like us, (except the guy that designs the menu system) so avoid this unless you need to shoot interlaced for some strange reason. Use MP4 only when quality isn’t really something you need and you’d rather take up less space. To make your life even more complicated, Sony has littered the camera menu with even more profiles. And they even inconveniently put them in a different spot. But luckily, most of them are just garbage and they can be ignored. So now there are two sets of profiles. We have our Creative Styles that are in most Sony cameras, and we have our new Profiles that are designed specifically for video but can also be used for stills. Photographers mostly know these styles. You have your Standard, Vivid, Neutral, Clear, Deep, Light, Portraits etc. Although creative styles are primarily designed for photographers who shoot JPEG, they can give you nice colors in video as well. If you want punchy nice colors, go with Standard, but if you want to shoot an image that’s a little more flat, shoot Neutral. I personally just try to shoot Neutral or Standard for video if I’m casually shooting. For example, when I was using the Sony A7rII when my daughter was born, I just shoot 4k 100M with a Standard Creative Style and the footage looks amazing. No need to do any color enhancements in post. If your goal is to create a cinematic masterpiece, then you should probably get to know your Picture Profiles. There are a lot of options here, too many. I’ll cover some of the presets, but I won’t go over what you should set your Color Phase and Knee too, since that is a topic for it’s own dedicated guide. The camera has seven picture profiles from PP1-PP7 with preset options that you can change. Once you turn your Picture Profile on, you automatically turn off your Creative Styles. You have a few defaults, Movie, Still, Cine, Cine2, ITU709, S-Log2. Buried in all the profiles are two setting that actually matter. S-Log2 and S-Gamut. S-Log2 – This is a default found in PP7. What this does is basically flatten the image tonally so your dynamic range is extend slightly. If you shoot in S-Log2 and S-Gamut, you will need to color grade your image when editing. Cine and Cine2 – These are great looks as well and can also be nice if you find S-Log to be too flat for what you want. ITU709 – Don’t worry about this. It’s a broadcast profile. Something to keep in mind; color profiles will not extend the dynamic range of the camera; they just provide us with an image with more range in the shadows and the highlights based on what the sensor can already do. Since shooting video is like shooting in JPEG mode vs RAW, it’s better to have a image where the blacks are lifted as much as possible so little detail is lost. You’ll notice the Sony A7sII shoots S-Log3. The main difference with S-Log3 is it extends the dynamic range even further. Something like 1.5 stops. It adds a lot more gain to the shadows and mids that also results in a lot more noise. As you know, the menu system in the Sony A7r II is a complete catastrophe. It’s 2015, cars now have autopilot with built in 4G, you would think a camera company could give you a description of what a setting does in camera. I guess the Magic Lantern Hacks do for the Canon’s do and it’s amazing and so helpful. Across the board, Sony does not know how to design a UI. From the PlayStation, to Sony TVs, it’s been a mess for many years. Granted, it’s not completely there fault with the cameras. It seems every time some nerd on the Internet complains about the camera not doing something, Sony adds that option as a feature, even though 99% of normal people will not need it. So you have this camera crammed with features and settings that frankly, you’ll just ignore. They could at least consolidate all the video recording options into one tab, and all the photography settings into another and a third for universal settings. Rant over, now I’m here to help. Here are some basic settings you should know about that are buried in the labyrinth. In the Americas, you should have your camera set to NTSC. In Europe It should be Pal. For web it probably doesn’t matter because you should consider shooting at 24p. You’ll want to set your file recording numbers to be a series. This will make sure every time you change your battery or memory card, the file naming convention does not reset. If it does you might have duplicate file names associated with different clips that will make editing messy. This allows you to set the basic highlight and shadow recovery strength of the camera. It works with your Creative Styles and only with your Creative Styles. If you’re using a Profile, this setting is not an option. It’s best to set it to 5 if you’re in a high contrast situation. Location: Camera -> Page 5 – DRO/Auto HDR: D-Range Opt. This setting got me bad once and I wish it didn’t even exist. It basically will automatically slow down your shutter in low light situations. You don’t even want the camera doing things you can’t control so leave it turned off. This part of the guide will go over some camera setting and gear to help you get a more cinematic look. A few very simple tricks can go a long way. A lot of people think that 24p is the key to a cinematic look. While I don’t agree with this 100%, it can help. I feel that the shutter speed contributes to it the most. Typically in a Hollywood movie you shoot at a 180-degree shutter. In film, this means you’re shutter is open for half the time that the single frame of film is in the gate. If you were shooting 24p, your shutter would be 1/48sec. And that is the formula. If you were shooting at 48fps, then you would shoot at a 360 degree shutter. Or in the case of the Hobbit, Peter Jackson shot a 270 degree shutter which is 1/64th of a second. Which is why that movie looks so weird. Your goal, whether you’re shooting 48fps, 30fps, or 60fps, is to get that shutter as close to 1/48 as possible. Most of these cameras will only let you do 1/50, which is fine. – If you don’t see 1/50 as an option, be sure to set your Exposure Step to 0.3EV. There is also one huge advantage to shooting at a slower frame rate most people don’t mention. With digital cinematography each frame has to be compressed. The more frames you cram into a second, the less detail each individual frame can have because of the limits of todays technology. For example, if you’re shooting at 50Mb/s, each frame in a 24fps sequence will have more information than a 60fps sequence becuase your breaking that 50mb/s steam into more frames. This also applies when making video encodings for youtube. A shallow depth of field plays a huge part in the Cinematic look and it’s easiest to get with long lenses. When I was in film school I remember shooting with my Canon XL1, and I would constantly zoom in or out depending on if I wanted a close up or a wide. You know what I learned from that? I was doing it completely wrong. Don’t think to get a wide shot you need a wide lens. Longer lenses will always give you a shallow depth of field and a nice specially flattened image. What I do now when I’m trying to shoot a wide shot is to stick with a longer lens. At least a 50mm or even a 85mm, then move the camera way back. (Assuming you have room) You’ll be surprised by the results. When shooting close-up of people talking, I always use something like an 85mm. Actually, the film I shot years back on the Red One, the Zeiss Super Speed 85mm lens was probably the most used lens. To maintain a shallow depth of field, stick with wide apertures when you can. Sometimes something like a 1.2 will be way too much, so I try to stick with something around 2.8-5.6 for standard portrait type shots. If you’re doing something that’s a complicated camera move where a lot of tracking of focus is involved, you’ll want a much higher aperture. f5.6 to f11 to make your depth of field a lot less shallow. So how do you maintain a 1/50 shutter with an f5.6 when shooting outside? An ND filter is a filter used to cut down light. They come in various strengths, some are variable, and some have gradients. Basically you’ll need to use these to keep your camera settings consistent throughout a scene and to keep a wide aperture. You don’t want to shoot one close-up at 5.6, then shoot the reverse at f11. It will look weird and inconsistent when you cut back and forth in the edit. You also must have an ND filter when shoot outside on a bright day to keep your aperture wide enough to get that cinematic depth of field. Usually a 3 stop or 0.9 ND is great for daylight sun. Sometimes you might want a little more or less, so get a variety of filters. If you’re just shooting your family vacation, you can leave the camera set to AWB. If you’re working on your cinematic masterpiece, then you should manually set this to how you’re lighting the scene and the look you want to have. In other words, if you’re using tungsten lights, set it to Incandescent, but if you’re using blue gels on tungsten lights mixed with yellow gels, maybe set it to Incandescent or program in your own custom setting. If you’re shooting in a scene that’s cloudy, or daylight or a sunset, use the built in settings. I often like to use daylight even during sunsets. Since the camera does not shoot RAW, the closer your get to nailing your white balance, the easier color grading will be and the better it will look. Color grading is probably one of the biggest contributors to the cinematic look besides camera settings. It makes such a huge difference. There is so much art and skill required for great color grading that I can’t really get into it in this guide. But I can point you to something cool that I’ve been doing lately. If you’re using the new Premiere Pro CC, take a look at the new color grading tools called Lumetri Color. Apply them to a clip and there are a ton of great color grading presets and tools, you can even load S-Log2 LUTs – great if you’ve shot on S-Log2. You should now have some basic knowledge of how to get a cinematic look. Shutter at 1/48 (or 1/50), a frame rate of 24fps, manual ISO and aperture, a long lenses with wide apertures and ND filters to control how much light goes into the camera. Practice using all these together and you should be on your way to some great looking video. A dolly, a pan, or a jib, will all impact the feeling a scene as well. If you watch a Christopher Nolan movie, you’ll notice he’s very intelligent about how he moves the camera. He’ll keep the camera always panning, or in motion during scenes where he wants to maintain momentum. But when a scene is more emotional and the energy is a lot lower, he’ll keep the camera very still. You might think, “The Sony A7r II has in-body SteadyShot. I can turn this on and things will be great.” Not true. Do not get this camera confused with the Olympus EM5-II. SteadyShot in the Sony 7r II from my experience is really just a vibration reduction. It’s kind of a gimmick, it’s not very good. That being said, it is great at cutting out those micro vibrations. It can be good to us if you’re shooting a scene handheld where the camera isn’t moving around a lot, but if the camera does move a lot, you’ll start to notice this little ‘jumps’ in the image as the IBS resets and re-aligns itself. If you’re shooting a serious production, this could be a problem. There are lots of camera accessories out there to help you steady your image. One trick I like is to just mount the camera to a small tripod and hold the tripod instead of the camera. But there are tons of accessories that will do the job that you can find on my Sony A7r II Accessories Page. I want to go over some basics on post production since it’s where most people run into problems. I’m only going to talk about Premiere CC at this point since that’s now the only software I really believe in anymore. Learning FCPX is dangerous. Apple has a tendency to just kill their pro software. You might spend years mastering FCPX, only for it to disappear one day. This happened with FCP7, Shake and Aperture to name a few. Because of this, I refuse to invest anytime learning Apple software and I recommend you do the same. Avid is great, but it functions at such a pro level, most people won’t need an Avid guide and usually Avid editors have the AEs do all the work for them anyway. Dealing with 4k footage can kind of be a pain, especially if your computer is not cut out for the job. I’ve been doing these guides for a while for other cameras and a common problem that happens to people is they can’t play back the footage they capture. It’s usually because of one of two things. 1. Their computer isn’t good enough. 2. They don’t have a fast enough hard drive. It’s usually #2. You can sometimes get around this by using Proxies for 4k Video Editing in Premiere. So what kind of hardware do you need for 4k video editing? If you’re serious about video editing most computers built-in the last four years should be able to decode 4k video. You’ll just want to make sure you have a decent graphics card with at least 1-2GB of video memory. My card has 4GB. You really need to be set up to take advantage of Adobe’s Mercury Playback Engine, or Open CL. It’s the only way. From what I understand, you likely won’t see any benefit having more than 4GB of video memory when only editing 4k video. Having a solid-state drive or a raid is just about a requirement now days. You also need to make sure you can connect USB 3.0, USB-C, Thunderbolt, or eSata. USB2.0 and Firewire 800 won’t cut it. I’ve used Sonnet raids for years but have recently made the switch to OWC. I’ve also used the Lacie 4Big and various other Lacie raids which I like. Working with your footage is pretty straightforward these days. Just copy your clips off your card and store them one your edit drive. I’ve listed up above where the files are located on your SD memory card based on what format you shoot in. Make sure to always keep a backup of all your footage! Premiere can take just about any kind of file now, so just drag and drop whatever you shot into Premiere and you should be good to go. One really important tip that I highly recommend you get in the habit of; is to set your autosave files to a drive other than your edit drive. So if your edit drive happens to die, you’ll still have your project file and you can relink everything to your backup. I had this happen once on a huge TV spot, but because my project autosave set to my internal drive, I was able to relink to the backup footage and be up and running in a mater of minutes. Here is a basic template you can copy in Premiere to keep you organized. This is my basic start that works for most projects, but every project is different so I’ll change a few things to fit what I need. You should also match your Finder or Window Explore file structure to match this. Except you would change Sequences to Project Files. The most important thing with shooting video is to practice. Working with camera settings, codecs, frame rates, shutter speeds, and lenses should all become muscle memory. If it helps, create a checklist of settings that you can check every day before you begin shooting. I can’t tell you how often it happens that a setting will be wrong. Even the pros do this. I was editing a spot once where one camera was shot in 24p and the other camera was shot 30p. It was a mess to deal with. So learn your setting and double-check them. Like all my guides, I keep them regularly updated with new information I discover, or with requests from readers. If you have any more questions or you feel like I missed something, let me know in the comments or email and I can address it. I’ve been getting pretty backed up on comments and email these days, so please be patient. Also, please, contribute. I don’t shoot as often as I should, so if you know of any really helpful tips and tricks or gear for shooting better video on the Sony A7r II. Let me know! Yes thank you. I keep forgetting to update this. Nice writeup! Curious how you deal with ISO. You have to set your shutter and aperture, but do you then let the ISO float or do you set that too? Thank for the good information. After grading i want to movie on harddisk. ( i am learning Davinci Resolve light 12.5). What is the codec i use when for television and for playing on HD tv via PC. Question 2. The UHD high resolution tv is coming (rec. 2020 + HDR). Which codec i use than to put the movie on my harddisk. When I’m shooting my daughter, or family or something, I actually prefer 60fps and the look of 1/60 since it has a more “real” quality to it. I also recently just switched my website over to a different CMS and am in the process of restoring old comments that have a ton of great info on this subject. Set the file Format to XAVC S 4k. Not Mp4. When the file format is set to MP4 it will only give you 1080p. What you read about with Mp4 has to do with the container. When recording XAVC S 4k, it will make MP4 files, but this is different than selecting MP4 in the recording format. Great article! Thanks a lot. When shooting video, do I want to be in M mode or video mode? How come I am not able to change the ISO, shutter speed and aperture in video mode? Good hell. 6 months later and no one can answer this? I feel like I’m taking crazy pills! Can you serious not have manual controls with the dial in MOVIE mode??????!!!!! 2/3 of video is audio and you didn’t even mention it. wow. Great article! I’m just getting into video shooting with my A7rii so this is gonna help a lot. Your Premiere Template file link isn’t working – I’d love to get a copy of that – is there another way I can grab it off you? It’s been a life saver for me working with 4k video at work. Could you point to a few mistakes so I could fix them? I’ve had a few mistakes in the past on this post when I original wrote it but I thought I got most of them ironed out. Sorry, as I mentioned, I don’t have time; but I’ll edit out my comment and sorry for the interruption. It’s fine. I wrote this article some time ago and need to go through and clean somethings up. I have a few commercial cinematographer friends that have already corrected a few things but I do realize it needs more work. I’m trying to summarize a career of education here in 4,000 word. And most people that visit this site, know nothing about video and just want to get the very basics, so I try to keep it simple. I have the Sony A7R II camera and am wondering if I can shoot slow motion (120 fps) video on it? I can’t seem to find a straight answer online and so far your article has been the most helpful. 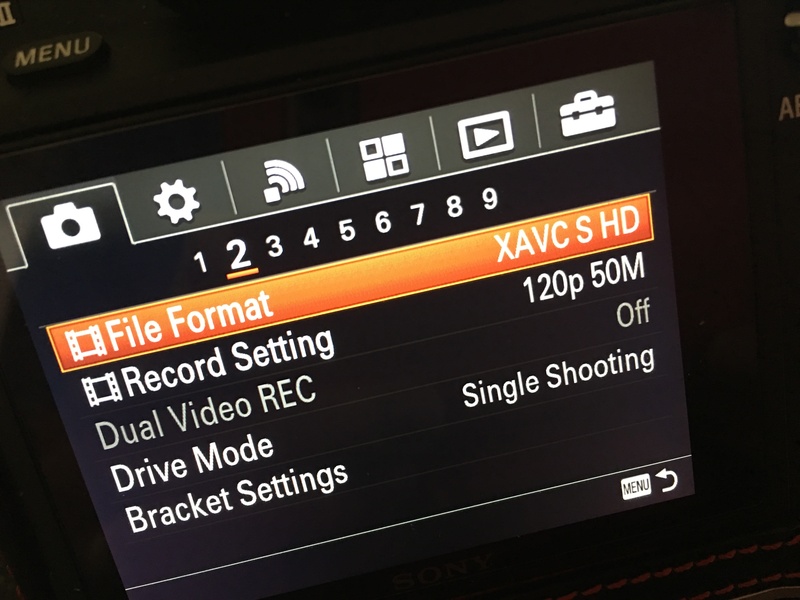 Do I choose the “XAVC S HD” recording mode and select “120p 100M” or “120p 60M”? Also, what do the “p” and “M” mean? If you use XAVC S HD you will have an option to record 120p at 50mbps. In the settings, page 8 on the first tab, first option says, Movie: Change this to Manual Exposure. That’s on the A7r II at least. On another camera it might be in a slightly different spot. But this option will be greyed out unless you’re in Movie mode. Thanks, but due to the camera’s horrible battery life, unusable buffer, darkened lcd display in 4K recording (another dealbreaker that no one talks about), poor and overpriced lens lineup and consumer-ish form factor (yes, it matters, ESPECIALLY to professionals), I dumped my A7r2 and jumped back into Nikon. Can’t believe I drank the Sony KoolAid in the first place. Kind of embarrassing, to be honest. Sony makes great tech. Nikon makes great tools for professionals. Yes, pros can use Sony. Yes, beginners can shoot Nikon. Overall, however, Nikon is still the professional choice for most of us. Hats off to any of you who have damned the torpedoes and now make a living in creating content with Sony mirrorless. I still love my E-mount FS5, which makes this divorce from the A7R2 all the more painful. 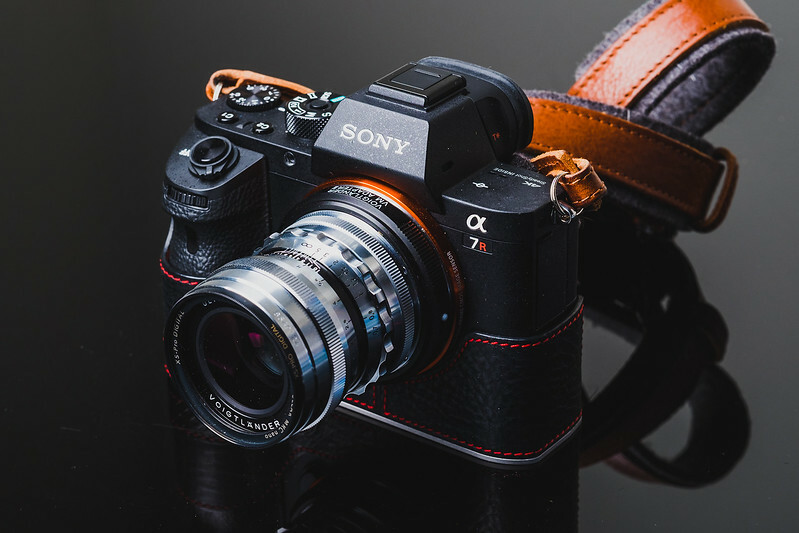 Seems counter-intuitive, but maybe Sony should consider making an E-MOUNT dslr…? EIther way, it’s looking like Nikon is going to jump into full-frame mirrorless. My hope is that Nikon comes out with a hybrid system that combines the best of both systems. Yeah, you’re half right. Long lenses are not required and in fact, medium to wide focal lengths with large apertures do a better job of conveying that look, because there is more reference material around the subject that creates a sense of place but still directs the viewers’ attention. lol. Congrats on going back to Nikon. I loved the A7r for the novelty, but they A7rII didn’t give us the improvements it really needed and the camera was very poorly designed. In fact the larger sensor drained the battery even more and made that buffer even worse. The A7rIII fixes most of the terrible things living in the A7rII, but it’s still no Nikon. I mostly just use mine for landscape shooting and I use Fujifilm for everything else. I’m super curious to see what Nikon puts in that mirrorless full frame. Thanks jonasthonfrum. It seems most movies are using anamorphic lenses as well, so there is also that to factor in. Even the tele lenses end up being wider to some extent. I actually went to Canon. Couldn’t be happier. I actually enjoy hearing all the haters. I just keep shooting and getting paid. It’s weird! 2/3 of being a sarcastic douchebag is adding “wow” to the end of a sentence. Great article, added to favourites! I actually didn’t know I can shoot 4k in 30p, so I dug into it, and I discovered I had to set NTSC instead of PAL (set by default for cameras in Europe). Oh yes, you are so on point with that. Way to contribute, Snowlover. Just improving the world one douche at a time. Peace, my man.